David defeated his giant Goliath alone, so I must defeat my giant alone. David had a king and nation at his back. David had a God at his side. 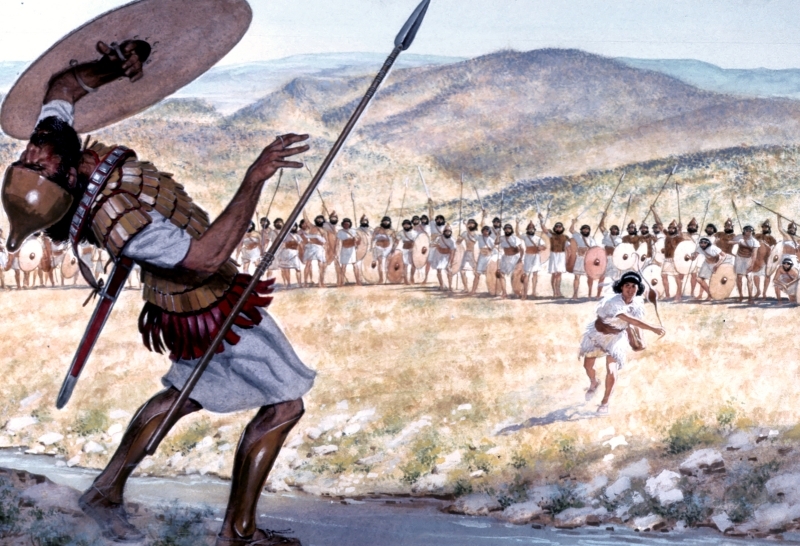 David defeated Goliath with a team. David stepped forward, picked out 5 smooth stones and walked out to to face the giant, but he was never alone. When facing your giant, you don’t need to be alone either. Don’t defeat your giant alone. Can you do it? Can you defeat the giant you are facing on your own. Yeah, you probably can…but you might not. I can guarantee, though, you’ll be better facing him with someone else. You’ll be great if you do it as a team. Find your team, then defeat your giant.